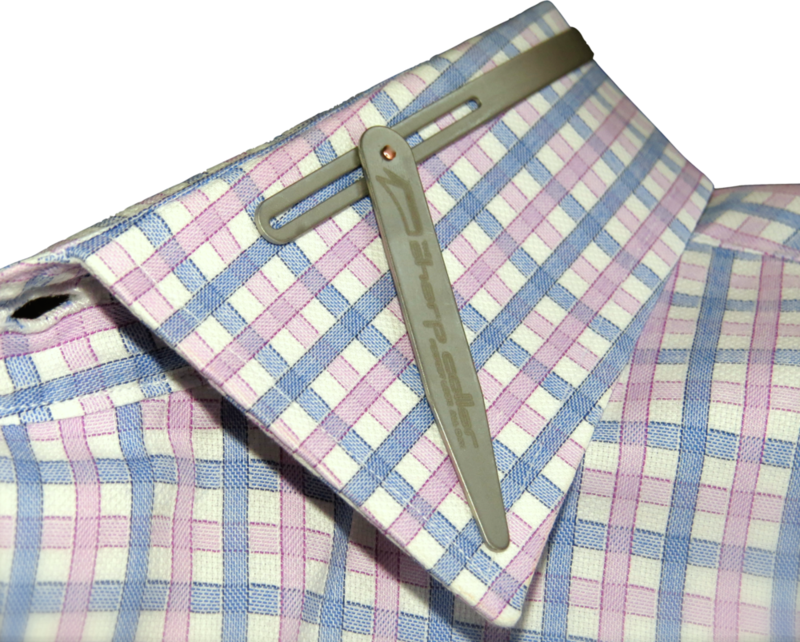 The Sharp Collar is a device that provides a full collar support, keeping your shirt collar crisp and upright. The Sharp Collar is a new patented design that combines collar stays with a supporting strip around your entire collar. It adjusts to your style and keeps your shirt looking sharp all day long. Introducing The Sharp Collar, the device that provides a full collar support, keeping your shirt collar crisp and upright. The Sharp Collar is a new patented design that combines collar stays with a supporting strip around the entire collar. It adjusts to your style and keeps your shirt collar looking sharp all day long...see the instructions. Trust me, a flat shirt collar is not a good look, so go ahead and tame your unruly collar! The flexible strip, the sliding stay and the adjustable angles of the collar stays will make this device fit most shirt sizes, allowing it to be adjusted to your desired look.